Pin-up style for this cat burglar is purr-fect! 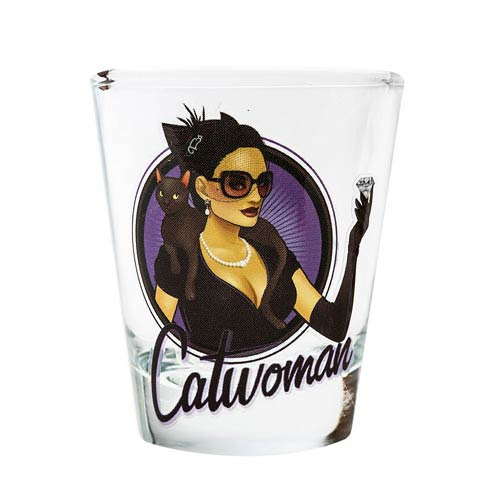 The DC Bombshells Catwoman Shot Glass features an image of Selena Kyle, holding a diamond with a cat on her shoulder. Glass holds 1 ounce of liquid. Hand wash only. Not dishwasher safe. Do not microwave. Ages 14 and up.